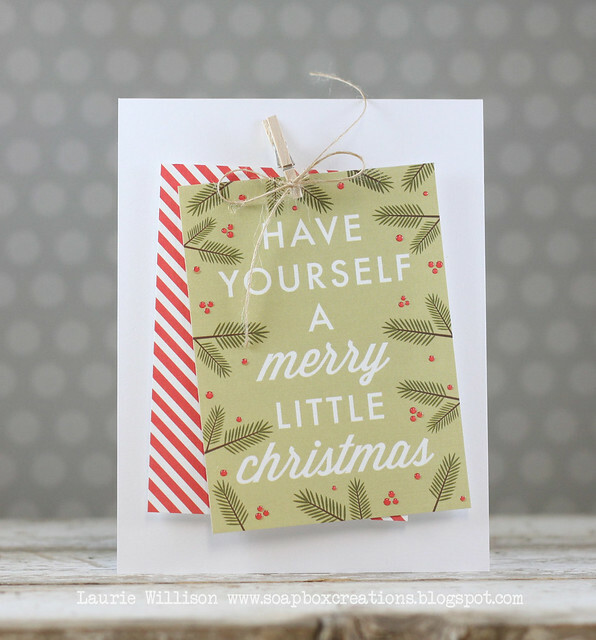 Love the crisp white sentiment. What a great idea Laurie. Very cute! 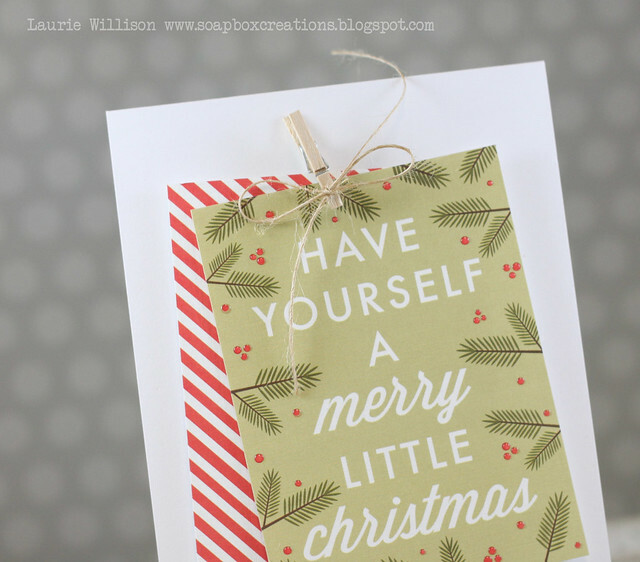 Love that pine bow & berry stamp! Very cool idea - LOVELY!